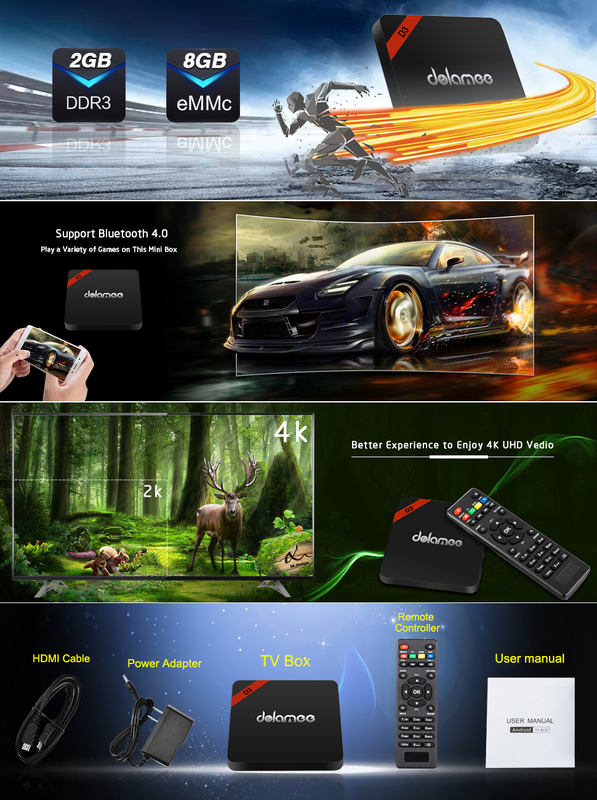 DOLAMEE D3 comes with 2GB DDR3 8GB eMMC , super large memory make the tv box run more stable and smoothly. Penta-Core GPU frequency up to 2.0 GHz. it could run many games, movies, TV shows and music without freezing and buffering. It supports both 2.4G wifi and Bluetooth 4.0 , users can use internet without cable and connect game-pads to have more fun for games. Just install your favorite apps and enjoy it! Click to buy at Amazon.